VW brand's margin slipped to 3.8 percent, down from 4.2 percent in 2017, VW Group said at its annual press conference here on Tuesday. 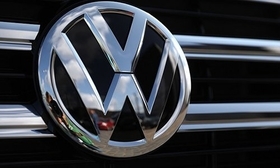 VW had targeted a margin of 4 percent to 5 percent. Audi's profitability slipped because of a 1.2 billion euro diesel-related charge and WLTP delays. 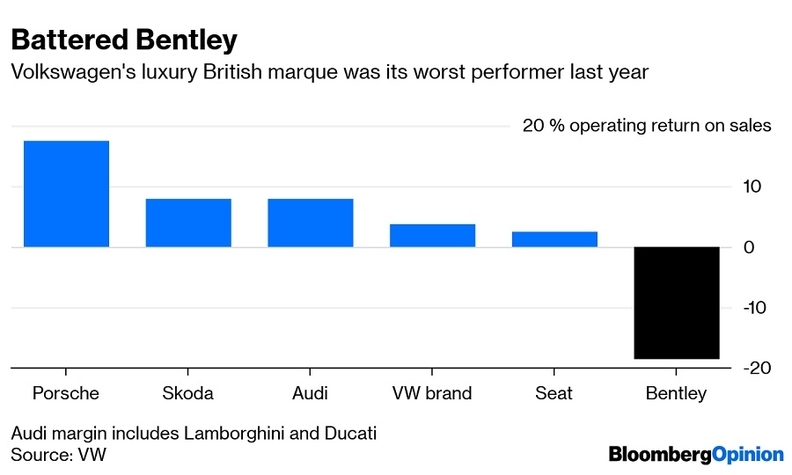 The operating loss at its Bentley brand fell to 288 million euros from a profit of 55 million euros a year earlier, hit by delays ramping up production of the new Continental GT and exchange rate effects. Bentley has also said it was too slow to ready its cars for WLTP. The introduction of WLTP led to delays in production, which had caused a sales downturn, VW Group CEO Herbert Diess said at the automaker's annual press conference here on Tuesday. "Audi was hit particularly hard. It will probably be the end of the first quarter before all variants are available again," Diess said. Diess warned WLTP will continue to cause problems this year but said they would be less extensive than in 2018. VW had increased test bench capacity and reduced model complexity, he said. WLTP replaced the NEDC cycle in Europe in September, introducing tougher, more realistic emissions testing. VW Group released full earnings on Tuesday after pre-releasing earnings in February, when it said its 2018 group operating profit came in at 13.92 billion euros ($15.8 billion). Audi and Porsche made up the lion's share of VW Group's operating profit. Before special items, Audi's operating profit accounted for 4.7 billion euros and Porsche's 4.1 billion euros. Its VW brand delivered 3.2 billion euros in operating profit before special items. VW Group's sales in North America dropped by 2 percent due to the company exiting unprofitable market segments in Mexico. The decline was partially offset by a 2 percent increase in deliveries in the U.S., helped by VW's focus on SUVs tailored to market needs such as the Atlas SUV. VW will have ready its plans for North America at the end of the first quarter, Diess said. A Volkswagen Group of America spokesman said the plan would be presented internally and not publicly. Diess said VW is on track to be in the black in South America this year after a "dramatic restructuring" in Brazil and measures to cope with Argentina's economic crisis. VW said its share of profits from its Chinese joint ventures, FAW-VW and Shanghai-Volkswagen, fell 2.5 percent last year to 4.63 billion euros. The group's vehicle sales in China grew by just half a percent to 4.5 million in 2018. VW increased its market share to 18.5 percent despite the overall market's first decline in more than two decades, Diess said. Since the joint venture stakes are not consolidated, the income affects its pretax earnings rather than the headline operating profit. About 39 percent of VW Group's 10.8 million global vehicles sales last year were delivered by its two Chinese JVs. VW will decide whether it makes sense to raise its stake in Chinese joint venture companies toward the end of this year or beginning of next year, Diess said. VW Group stuck to its outlook for this year, reiterating that it expects revenues to grow up to 5 percent, and to deliver an operating return on sales at group level of between 6.5 percent and 7.5 percent in 2019. The VW brand has brought forward its target of achieving a return on sales of 6 percent to 2022, but this will also involve cutting jobs, the company said. "The reality is that building an electric car involves some 30 percent less effort than one powered by an internal combustion engine," Diess said. VW Group is switching its focus to electric cars after its emissions-cheating scandal that cost it more than 27 billion euros and tainted its reputation. As a result of the EV ramp up, VW expects to build 22 million cars on its electric platforms PPE for premium cars and MEB for mass-market cars by 2028, up from the automaker's previous estimate of 15 million cars.